The Defender is the first smart personal protection system that takes prevention to the next level with Everywhere Security. The Defender – The First Smart Personal Protection System from The Defender on Vimeo. The Defender is a product for those concerned about personal protection and peace of mind. The Defender integrates elements of products and services found separately and elegantly combines them into one compact personal accessory. This is achieved by leveraging the communication technology of a smartphone coupled with a digital camera to capture & forward an attackers picture to law enforcement, flashing light and audible alarm to attract attention, plus the highest concentration of pepper spray available to law enforcement. 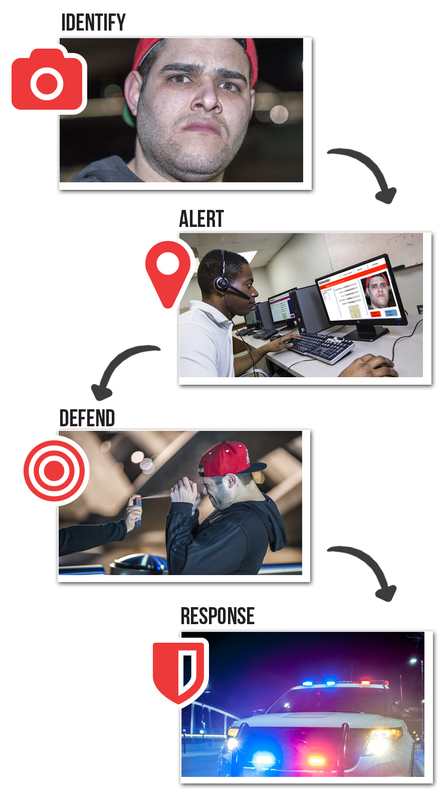 The Defender includes a 24/7 response for safety and medical alerts, when you maintain your service agreement and every Defender that is sent to contributors will include one year of service (12 months). The Defender will have a mobile app for iOS and Android that connects via Bluetooth. The Defender will support iPhone 4 and later and Android 4.3 and later. To sell it in the UK there will have to be some modifications including removal of the pepper spray cartridge. Today the device would be a camera with safety and medical alerts. The Guardian and The Daily Mail featured The Defender and included that it could not be used with pepper spray.